VCCP commissioned Gary Redford to illustrate the latest ad in their campaign for Transport for London. 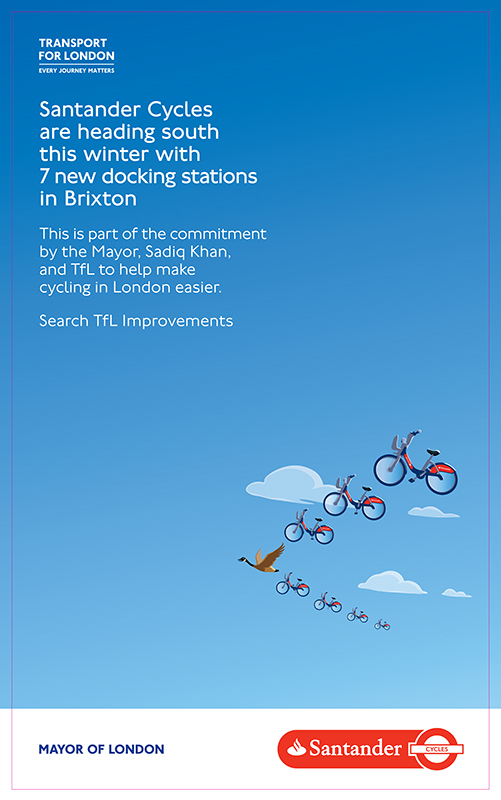 Gary's contemporary graphic style was the perfect choice for the print campaign, announcing the arrival of Santander Cycles and docking stations in Brixton. To see Gary's portfolio, click here. Gary Redford is represented by Meiklejohn. Published on 15 March 2018.